Stereophile LOVES PrimaLuna’s ProLogue Premium Power Amp! In the November, 2016 issue of Stereophile, just released, reviewer Herb Reichert raves about the PrimaLuna ProLogue Premium Power Amplifier. His conclusion: “PrimaLuna’s ProLogue Premium has become my new reference for low-power, high-value amplification. Class A sound at a Class C price” It doesn’t get any better than that! The Fun begins on Page 83: please check it out! Editor Jeff Dorgay Loved our Bardo ‘table and 10.0 tonearm so much, he bought the review sample! 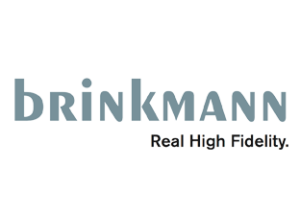 Press Release – BRINKMANN ROCKS THE ROCKIES!!! October 13, 2016: Brinkmann Audio has been awarded “Best of Show” by TAS reviewer Steven Stone. Making its North American debut at last week’s Rocky Mountain Audio Fest (RMAF), Brinkmann’s MQA-ready Nyquist Digital-to-Analogue Converter ($18,000) received universal acclaim from Press, Manufacturers and Attendees alike who praised its transparency and resolution combined with analogue-like bloom and sweetness. In his RMAF Show Report (http://www.theabsolutesound.com/articles/rmaf-2016-show-report-steven-stone/) , Stone noted “It was the only small-sized room with full-range speakers that had deep bass without midbass bloat.” Brinkmann’s Marconi Line Preamplifier and MONO Power Amplifiers distinguished a playback chain that also included Vandersteen 5A Carbon Loudspeakers, HRS Component Stands and Isolation Bases and Audioquest cabling. A “Real-World Reference System,” Brinkmann components are notable for delivering state-of-the-art performance in compact and affordable packages. With Nyquist—The Digital Source So Good, Only An Analog Legend Could Have Built It—Brinkmann designers Helmut Brinkmann and Dr Matthias Luck have established a new benchmark for digital decoding. Our thanks to Stephen Stone for recognizing the qualities which make Nyquist—and Brinkmann Audio—so special. Founded in 1985 by Helmut Brinkmann, Brinkmann Audio Systems is one of the few companies to design and manufacture every source and electronic component in the audio playback chain. Engineering simplicity and product longevity are the cornerstones of the Brinkmann design philosophy. All Brinkmann Audio components are handcrafted in Germany from German-made parts and subassemblies. Renowned for creating a full line of tonearms, cartridges, phono preamplifers and turntables crowned by the State-of-the-Art Balance, Brinkmann’s analog expertise has led them to the new, “MQA-ready” Nyquist: the Digital-to-Analogue Converter so good, only an analogue legend could have built it!